Welcome to our monthly issue of What We’re Reading! (WWR) where everyone at AKA discusses a book we’re reading and how it effects our industry and our community. Join in below with your own thoughts, insights, or book recommendations for what we should read next! What is one thing you’ve learned? Significant and life-altering change is coming, and coming quickly. The increasing capabilities of Artificial Intelligence (AI) are going to continue and at a much faster rate than most people are probably thinking of or prepared for. What is one thing that applies to architecture? I think there is the ability to continually increase and gain knowledge from big data. The ability to implement systems that help to use that data in the most effective and timely ways are the kinds of processes or systems that not just the field of architecture will need to embrace, but most every other industry as well. What is one thing that applies to our community? I think those communities that are looking to have an advantage and desiring to grow and attract talent will benefit from being on and staying at the front end of technology. While that is not a new thought and has certainly played out over the past 50 years, the speed of change is ever increasing, and it will take great effort to stay in front of it. 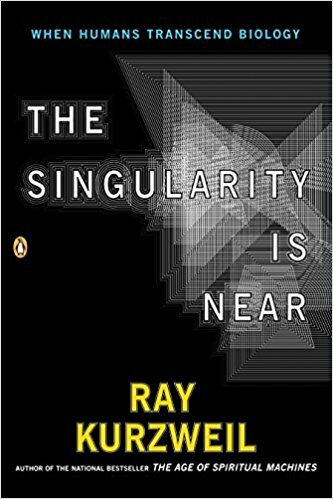 If Ray’s predictions are accurate then there is 800 years of change that will take place in the next 50 years. Since the book was written almost 15 years ago, we are well into that time frame. I was both excited and terrified by the possibilities that Ray predicts may happen by the year 2045. With the advances in AI, there are some great possible outcomes for everyone’s lives, but if those that are creating this AI are not careful, things could end up very different. One of the most intriguing notions he postures is the possibility of a new species evolving out of us - a morphing of our biological beings with technology to create a new species. Time will definitely tell. These periodicals allow me to keep up with the latest materials, design trends, and good detailing practices for the residential home market. From these magazines, I am able to improve my architectural detailing practices (Especially in regards to waterproofing and venting). Long-lasting and low-maintenance buildings rely solely on the architectural details. How water stays out of the building and how air flows through the building are paramount to ensure buildings don’t leak, grow mold, or even become money pits due to high utility costs. I think we would all benefit from spending a little more time on the details of a design and really thinking through the decisions we make when we’re designing or building a home. I honestly haven’t learned a ton from this book. It’s an interesting read for sure, but with futurist theories, it’s hard to apply their methodologies due to not living in the state of time they’re talking about. It all seems too far away and highly unpredictable. At least this book does a good job of applying a technical and adaptable method to safeguard yourself from future disruption. One thing that John really harps on is the skills needed to succeed in the new reality of the future. These skills are often based in digital thinking, mechanical attributes, or electrical knowledge. As architects, we would hope we have all of these critical skills and could leverage them in the future to rework how we work and how we define success. “The loser is the surgeon who remains stagnant by maintaining the status quo and not adopting new technologies.” We at AKA are always on the lookout for new technologies and new ways to breath life into our design and documentation process. I believe this will be even more imperative as time goes on. John writes a lot about the extinction of the middle manager. The first step of automation was to takeover the low-hanging fruit. Jobs that relied on high repetition, and low thought processes were relatively easy to automate with machines and the rise of AI. However, the next phase of this will come to middle managers. A middle manager’s role is highly complex and yet extremely routine. John proposes that once enough historic data (Big Data) has been collected and correlated, these jobs will be fully operational by enterprise software. This will leave a huge number of people out of work and looking to gain new skills in order to remain marketable. This upheaval is the basis of the book and if you’re worried about it, you should definitely read it. How Long Does it Take to Become an Architect?